There are an estimated 200 million insects on the planet for every human walking around. These bugs play various and consequential roles to your everyday life. Insects serve the planet’s complex and fragile ecosystem, contributing to the survival of humanity. On top of the incomprehensible insect population, there are currently around 900 thousand species of insects across the globe, with some scientists estimating that number could be much higher. Insects themselves accomplish great feats in nature, abilities that would make even some of your favorite heroes red with envy. Over the decades, scientists have taken a hard look at bugs, learning from them and utilizing that research to make huge steps in robotics. Insect-inspired robots could take on jobs, both big and small, that may be too difficult or too tedious for humans to carry out. 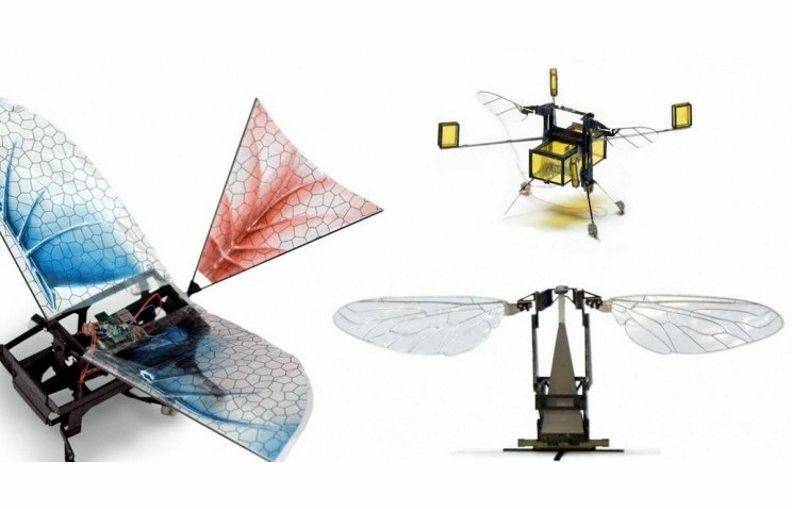 Here are five robots that have been directly inspired by insects. Ants are some of the most interesting insects on the planet. One individual ant may not be able to do much, however, a colony of ants can accomplish amazing feats. Studied by physicists and engineers, ants can lift 10-50 times their own body-weight, can swim, and have an amazing ability to coordinate with each other to tackle massive projects. Impressed with ants, James McLurkin of MIT created robots that behaved like them. Weighing about eleven ounces and approximately four inches in diameter, as well as two inches tall, his insects have small internal computers that have allowed the robots to communicate with each other, similar to a colony of ants. With the ability to travel ten inches per second, these ant-inspired robots were created with the goal of exploration, search and rescue, recovery, mapping, and surveillance. The hockey puck looking robot (now at Rice University) could be used to tackle everything from searching for survivors after an earthquake to exploring Mars’ surface. Like something out of Black Mirror, the RoboBee is inspired by what the name implies, bees. Created by Robert Wood of Harvard’s Microbiotics Lab, the insect is the world’s smallest robot weighing two-hundredths of an ounce, a wingspan just over an inch, and is only ⅔ of an inch long. The robotic insect includes an image processing system inspired by the ways bees process images, taking pictures with its “eyes”, or low-resolution camera, capturing continuing snapshots and forwarding information to the RoboBee’s brain. Constantly evolving, researchers imagine a day where a swarm of his bees could be used in emergency situations to dispatch information. The robots could be used to eventually pollinate crops or gardens. Recently, the robot has gained the ability to dive underwater by flapping its wings. RoboBees technology continues to be built upon and is becoming more advanced. Cockroaches get a bad wrap but they are really some of the most impressive creatures in nature. These insects can hold their breath for forty minutes, are basically indestructible, and can run up to three miles an hour. A cockroach’s ability to move quickly, over any terrain, and get almost anywhere make it any roboticists dream source of inspiration. University of California researchers have created their own roach inspired insect, the Dynamic Autonomous Sprawled Hexapod, or DASH. This six-legged RoboRoach is four inches long and two inches wide. With its hexa-pedal design, the robot can move steadily across multiple surfaces. Over time the DASH robot has evolved with new features added by researchers. 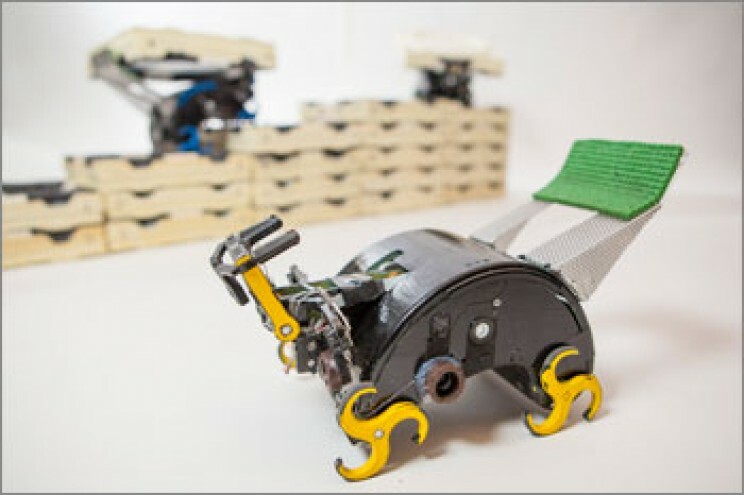 DASH has been modified with interchangeable feet that include claws or magnets allowing the robotic cockroach to climb vertically. Recently the robot has been given wings and the ability to fly as fast as four feet per second. The DASH robot could be used to tackle jobs that may be too dangerous for humans like checking for explosives, examining contaminated areas, or even inspecting bridges. Termites may creep you out or bother you because of their destructive ability. However, termites are master builders. The inch-long termites can construct mounds tall as forty feet. With this as their source of inspiration, Harvard computer scientist Radhika Nagpal and her colleagues have utilized their skills and resources to create artificial termites that can build structures much bigger than themselves. Dubbed the TERMES Project, the seven inch long robots can grab a small brick and flip it onto its back and then deposit it in the proper place. With just one insect robot the team was able to build a small staircase with ten bricks and a staircase of eighty bricks with three robots. Each robot can be programmed to operate as a collective or individual, to tackle construction or reinforcement projects. Centipedes can move amazingly well across any terrain. 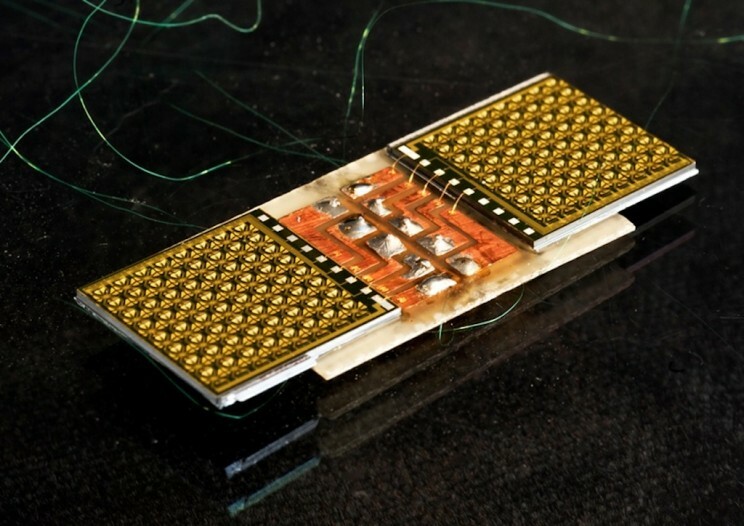 Built through a similar process used to make computer chips, engineer Karl Böhringer and his research team at the University of Washington have made a robot that moves just like a centipede. Only one inch long and ⅓ an inch wide the robot has 512 legs. Impressively, the robot can carry well over seven times its weight, and eventually fifty times its body weight. Though the robotic insect may not be as fast as its centipede inspiration, Böhringer aims to improve its mobility. The potential uses for the robot are endless and play a major role in space and planet exploration. It will be interesting to see what new technology comes from nature and new species of insect that scientist discover. It is important to mention that biomimicry, or the imitation of the models, systems, and elements of nature for the purpose of solving complex human problems, will play a massive role in how products and even services will be designed to better fit the human experience. What cool nature-inspired robots have you seen lately? Leave your examples in the comments below.